Glenn Frey, singer with American rock band The Eagles sadly passed away Monday 18 January 2016. 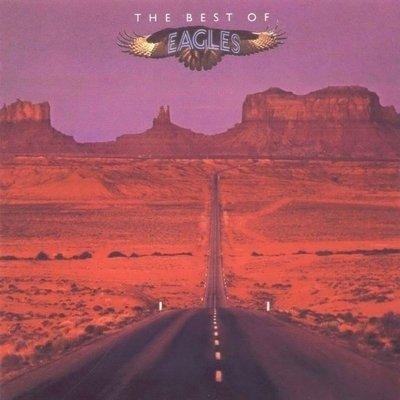 Formed in Los Angeles, California in 1971 by Glenn Frey, Don Henley, Bernie Leadon, and Randy Meisner, The Eagles have seven number one singles, six Grammys, five American Music Awards, and six number one albums, the Eagles were one of the most successful musical acts of the 1970s. At the end of the 20th century, two of their albums, Their Greatest Hits (1971–1975) and Hotel California, ranked among the 20 best-selling albums in the U.S. according to the Recording Industry Association of America. Hotel California is ranked 37th in Rolling Stone’s 500 Greatest Albums of All Time, and the band was ranked No. 75 on the magazine’s 2004 list of the 100 Greatest Artists of All Time.They have the best-selling album in the U.S. with Their Greatest Hits (1971–1975), which sold approximately 42 million copies worldwide. They have sold over 120 million albums worldwide, and 100 million in the U.S. alone. They are the fifth-highest-selling music act and highest-selling American band in U.S. history. No other American band sold more records than the Eagles during the 1970s.The Eagles released their self-titled debut album in 1972 which spawned three Top 40 singles, “Take It Easy”, “Witchy Woman”, and “Peaceful Easy Feeling”. Often referred to as “The Queen of Country Music,” The American singer-songwriter, author, multi-instrumentalist, actress and philanthropist Dolly Parton was born January 19 in 1946). she has also appeared in movies like 9 to 5, The Best Little Whorehouse in Texas, Steel Magnolias and Straight Talk and is one of the most successful female country artists of all time.Dolly Parton was born in Sevierville, Tennessee, and began performing as a child, singing on local radio and television programs in the Eastern Tennessee area. In 2013 Button announced his intention to stay with McLaren until his retirement, partnering Mexican driver Sergio Perez, and finished ninth at the Australian Grand Prix. He sadly retired form the Malaysian Grand Prix. Button finished Forth at the Brazilian Grand Prix after a disappointing season. Danish driver Kevin Magnussen replaced Sergio Perez for the 2014 season. For 2014 The rules changed enabling drivers to pick a car number lasting for their Formula One career. Button picked number 22 which was the car number he raced under during his World Championship winning year for Brawn GP in 2009. Button finished the Australian Grand Prix in 4th place being promoted to third after Daniel Ricciardo was disqualified for rule-breaking. He went on to finish the season Eighth in in Drivers Championship. Button stayed with McLaren for the 2015 Season. I have recently watchedDoctor Who Vengeance on Varos again. This classic Doctor Who episode features Colin Baker as the Doctor, who along with his assistant Peri(Nicola Bryant) is forced to land on the planet Varos after their latest encounter with the Cybermen leaves the TARDIS damaged, and look for a rare element Zeiton-7 with which to repair it. They discover that Varos is an oppressive, brutal police state led by the Governor (Martin Jarvis) and The Galatron Mining Corporation’s villainous and greedy representative Sil (Nabil Shaban), Who is holding the planet to ransom by controlling the planet’s supply of Zeiton-7. They learn that voting is mandatory and torture and executions are televised regularly to keep the population in line.